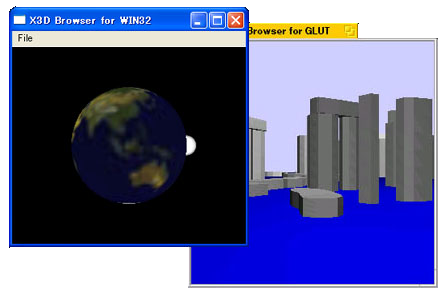 CyberX3D for C++ is a development package for X3D/!VRML and Java programmers. Using the package, you can easily read and write the X3D/!VRML files, set and get the scene graph information, draw the geometries, run the behaviors easily. The project is hosted on SourceForge.net as the following.